Stand a chance to win an iPhone 6s in the "Lease it to Win it" Promo! 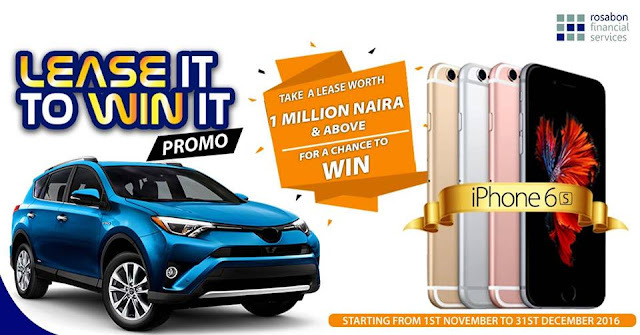 Starting from 1st November to 31st December 2016, Customers who take a Lease worth 1 Million Naira & above will stand a chance to win an iPhone 6s. Note: One iPhone 6s will be given out monthly. Promo runs from 1st November to 31st December 2016.